Abstract: In this paper, various Inter Terminal Transport (ITT) systems for the Port of Rotterdam are evaluated. The Port Authority is investigating possible solutions for the transport of containers between terminals at the existing so-called Maasvlakte 1 and new Maasvlakte 2 areas within the port. A discrete event simulation model is presented that incorporates traffic modeling, which means that delays occurring due to traffic will have an impact on the system's performance. The model is applied to four different ITT vehicle configurations, including Automated Guided Vehicles (AGVs), Automated Lifting Vehicles (ALVs), Multi Trailer Systems (MTSs) and a combination of barges and trucks. Furthermore, three realistic demand scenarios for the year 2030 are used for the analysis. Reference: H.J.L. Schroer, F. Corman, M.B. Duinkerken, R.R. Negenborn, G. Lodewijks. 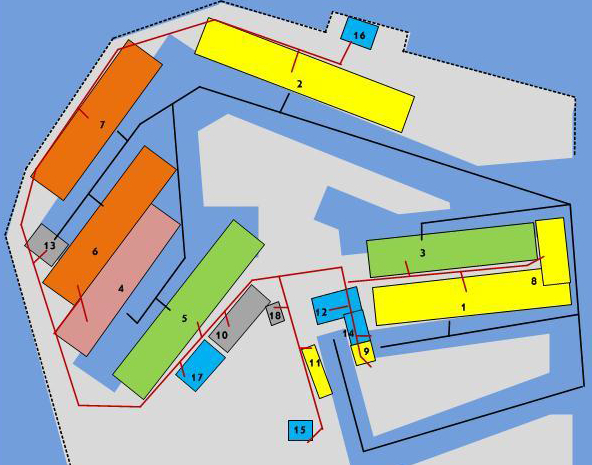 Evaluation of inter terminal transport configurations at Rotterdam Maasvlakte using discrete event simulation. In Proceedings of the Winter Simulation Conference 2014 (WSC'14), Savannah, Georgia, pp. 1771-1782, December 2014.